Education is coveted here in Hong Kong and the government provides many incentives and schemes that enable the public to continually pursue opportunities to grow. With technology advancing faster than ever before, the demand for tech talent and skillset in all industries is skyrocketing. Xccelerate, a tech and coding academy founded in Hong Kong in 2017, looks to bridge the digital literacy skill gap between traditional education and tech skillset required in the new age, empowering aspiring individuals, enterprises and governments to dive into the talent pool of the world’s most sought-after profession. Xccelerate offers blended-learning style tech bootcamps from data science to machine learning, blockchain and coding, bringing students up to speed in the latest technology and unleash their tech potential. Not only targeting fresh graduates, its courses also cater for working professionals who are looking to take a leap in their current career or would like to start a new career path in an emerging tech role to drive innovation. With SMEs and corporations recognising the growing demand for innovation, Xccelerate seeks to service corporate clients with bespoke trainings for larger teams in areas ranging from AI, data analytics, machine learning to Design Thinking, with an aim to transform the way corporate workforces operate in the digital world. “Education is coveted here in Hong Kong and the government provides many incentives and schemes that enable the public to continually pursue opportunities to grow. We want to be a key resource for those initiatives,” he added. Started with only two staff members at the beginning, Xccelerate now has a fully-operational team in Hong Kong with roles ranging from sales, marketing and administration, to instructional, curriculum, product and teaching staff for its full time immersive courses. The company also has dedicated staff in job-matching service, connecting students and businesses. 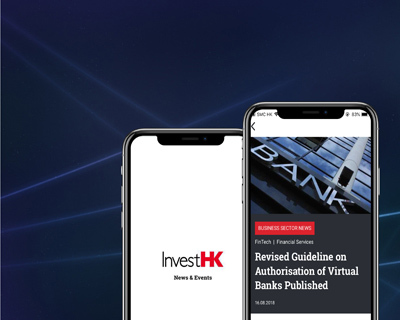 “InvestHK has been very helpful in navigating visa applications and administrative structuring in our early stages and catalysing communications with key influencers since we started. What’s most refreshing is the level of responsiveness and openness to communication in times of our need, and identifying the right opportunities that may help us in our journey,” he concluded.